This is Poland’s biggest lake. It is located within the Masuria Natural Park. The surface of the water amounts to about 9,976 hectares, it is up to 14 km wide and 23 km long. The Sniardwy is called by local people the Masuria Ocean. Its bottom is very differentiated building a unique surface. The deepest spot amounts to 24 meters. There are numerous shallows, sunken erratic stones, underwater hills, prows and nearby lakes (including the Seksty lake, the Kaczerajno lake, the Warnolty lake, the Mikolajskie lake, the Lukajno lake, the Tuchlin lake, the Tyrklo lake, the Bialolawka lake) create perfect conditions for its fish. There are the following predatory fish living in the lake: the pike, the perch, the sander, the eel in the lake while the great number of smaller fish, the food for the predatory ones, let them grow to huge sizes. 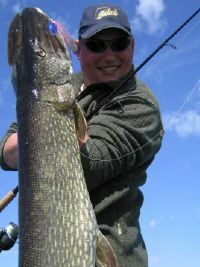 The pike from the Sniardwy lake is often over 1m long. One can catch such fish since June till the end of October. The pike’s favourite spots are the slopes of stony hills, and underwater meadows. Unfortunately, the lake is very big and the key to successful fishing is excellent knowledge of the predator’s fisheries as well as regular visits to the lake. 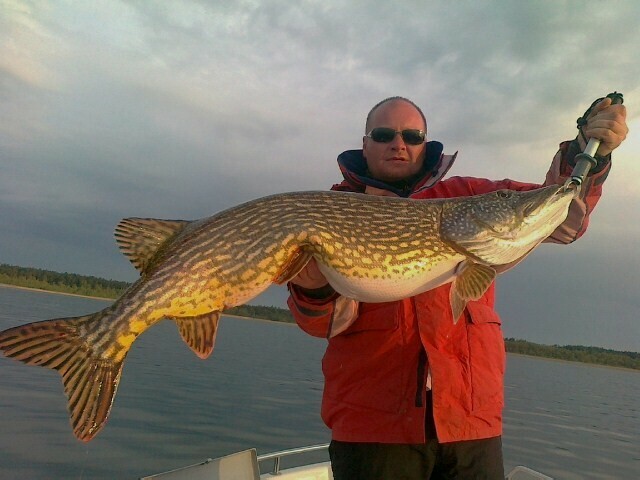 Because of the lack of free time, not everyone may do this, that’s why feel invited for common trips with our guide Robert Paulin, the Sniardwy lake’s specialist. 180 EUR per person - one person on the boat. 120 EUR per person - two persons on the boat. 170 EUR per person - one person on the boat. 110 EUR per person - two persons on the boat. I started my fishing adventure 25 years ago. Beginnings were obvious: chasing with bamboo after roaches, perchs, breams on many ponds in Mazury area. First records, stuffing my head with lots of fishing knowledge and tricks. With some time, I devoted totally to spinning method, catching the most popular predators: pikes and perchs. I improved my fishing skills in many places in Poland and across the board. I mainly catch on soft baits, however I don’t avoid typical masurian patents. I have been wrapped up in fishing since I was a child. As far as I remember, in fact. I was born in the Masuria region where my family has been living for many generations. My Dad ‘infected’ me with the love for fishing. He was the one who taught me catch my first fish, and later on the first predatory fish. I was taught the knowledge conveyed through generations. 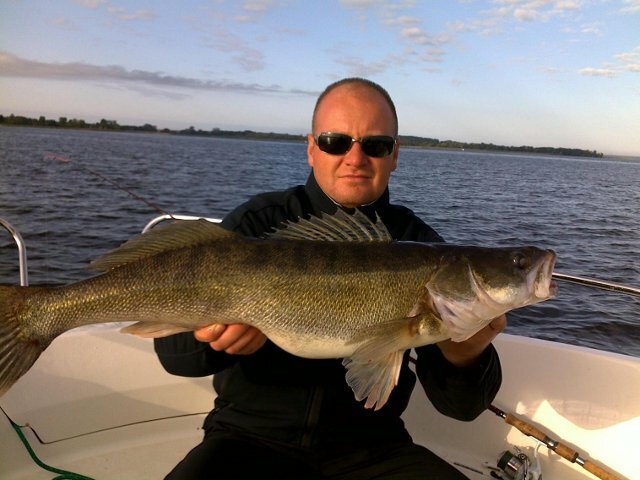 My main fishing experiences were made in the lakes in the Masuria region. My favorite waters, the ones I visit most often to fish, are the Ros and the Sniardwy lakes. These are the lakes were I fish most and hit my new all-time records. 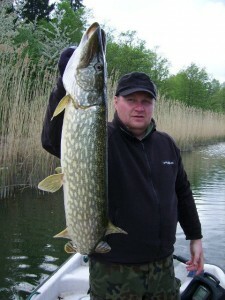 I’m fond of asp fishing and I keep pursuing big, over 1-meter-long pike which is called ‘bar-pike’ by the people from the Masuria. I love the spinning and I keep learning and discovering the opportunities the trolling gives. I continue the fishing tradition which I try to implement in contemporary times.